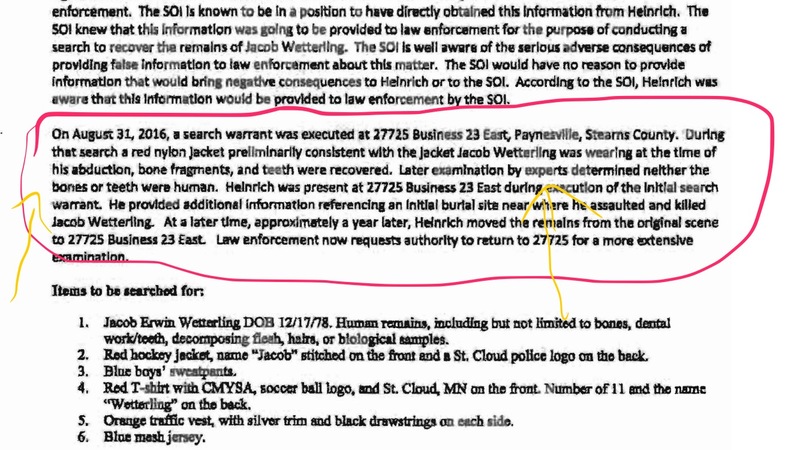 Dismembered male child found floating in Mississippi River in 1990 Jacob Wetterling? Was the mutilated body of a young boy found in the Mississippi River in February of 1990 actually the remains of Jacob Wetterling? 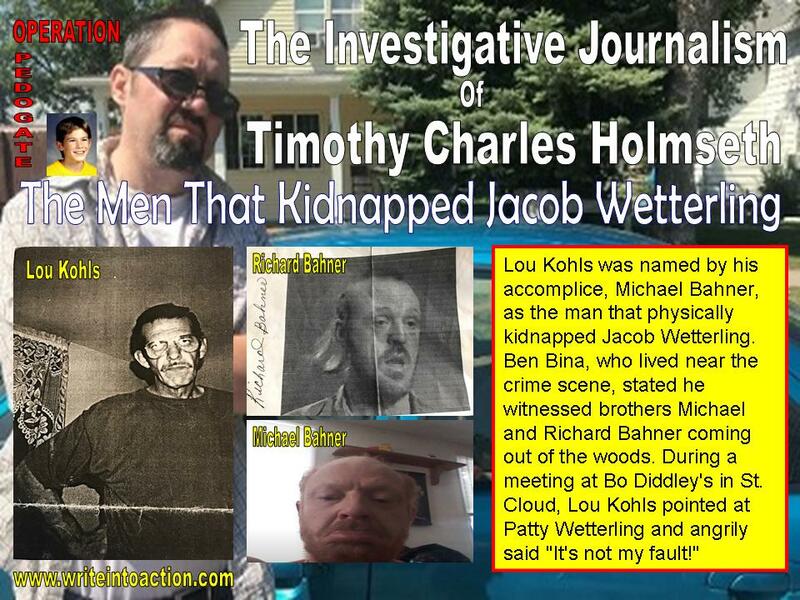 Evidence strongly suggests that it may have been, and the public was lied to, because that ritual killing leads to members of a satanic cult linked to Patty and Jerry Wetterling. In September, 2016 the abrupt (hoax) recovery of Jacob’s remains, and the so-called confession of Danny Heinrich to Jacob’s murder, exploded into the media only a few days before American Public Media (parent company of Minnesota Public Radio) were set to release a documentary called ‘In The Dark’ regarding the Wetterling case. The producers of ‘In The Dark’ were forced to make changes to the investigative series due to the case being ‘solved’. So let’s take a look at what the public did not end up learning in 2016. 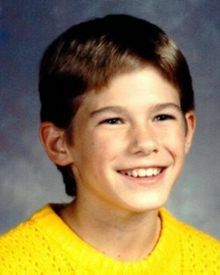 On September 3, 2016 the Wetterling family announced the remains of Jacob had been located near Paynesville, Minnesota, and that local law enforcement stated that confirmation of their identity had been obtained through dental records. But that story began quickly falling apart because according to the Search Warrant, the teeth and bones that were found at the site were determined by an expert to be from an ANIMAL. There is no mention of a skull (which is very significant because that is what holds teeth and it would have to have a bullet hole in it, per Heinrich’s confession). 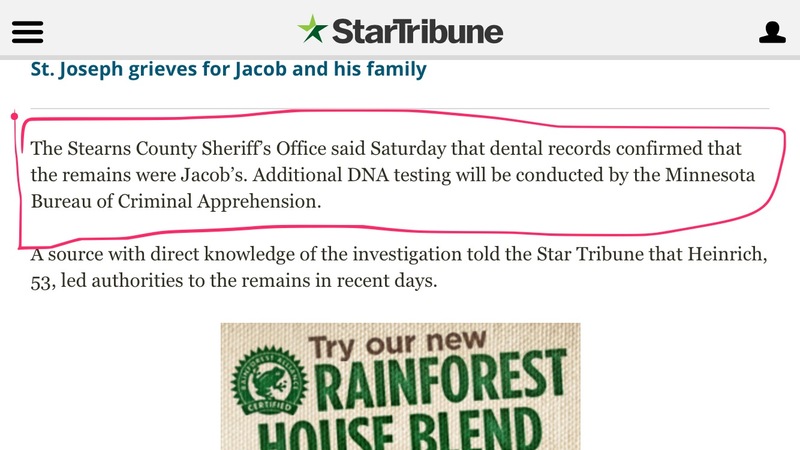 There is no real evidence that Jacob’s body was found. 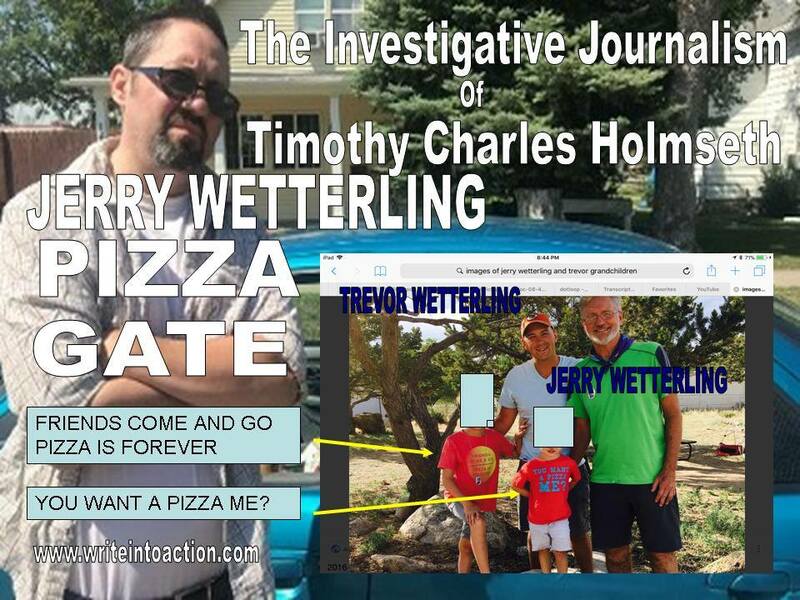 In June, 2017, the Wetterlings sued to have records from the investigation withheld from the public. 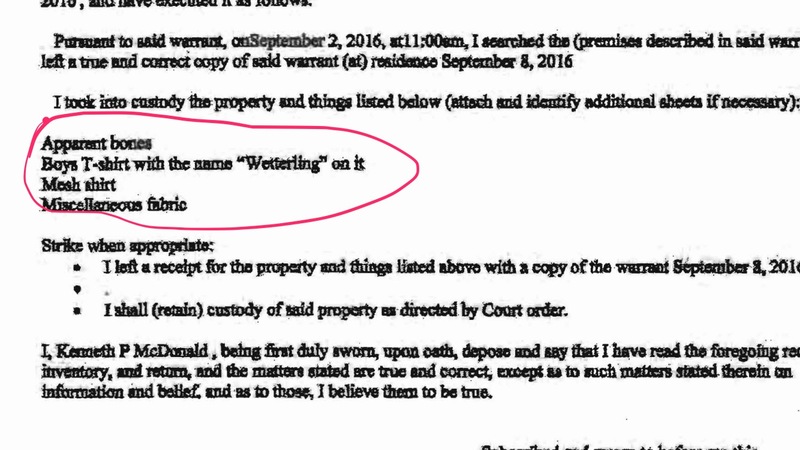 The Wetterlings don’t want the public to know about observations of police and other information obtained inside their house etc. during the search for Jacob. As you will now see – the attempt to withhold the records is an attempt to ‘cover-up’ a ‘cover-up’ that most certainly involves criminal elements within law enforcement. On July 14, 2017 Write Into Action disclosed information received from investigators inside the Wetterling case that revealed what truly happened to the Minnesota boy on October 22, 1989. 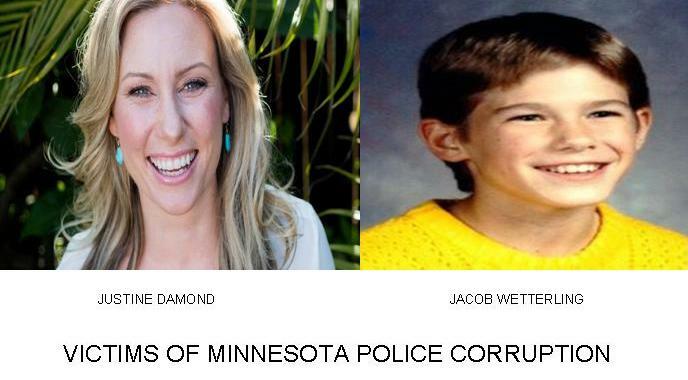 On July 15, 2017 Write Into Action further reported the Stearns County Sheriff’s Office received evidence of a recorded, credible confession, that was given with a law enforcement officer present, regarding the kidnapping and murder of Jacob Wetterling. Inside sources say the SCSO then coerced the officer that heard the confession into changing his report. “Stearns County made him change that report and say he didn’t hear one”, an investigator told Write into Action. The confession included Jacob being cut up and thrown in the river. 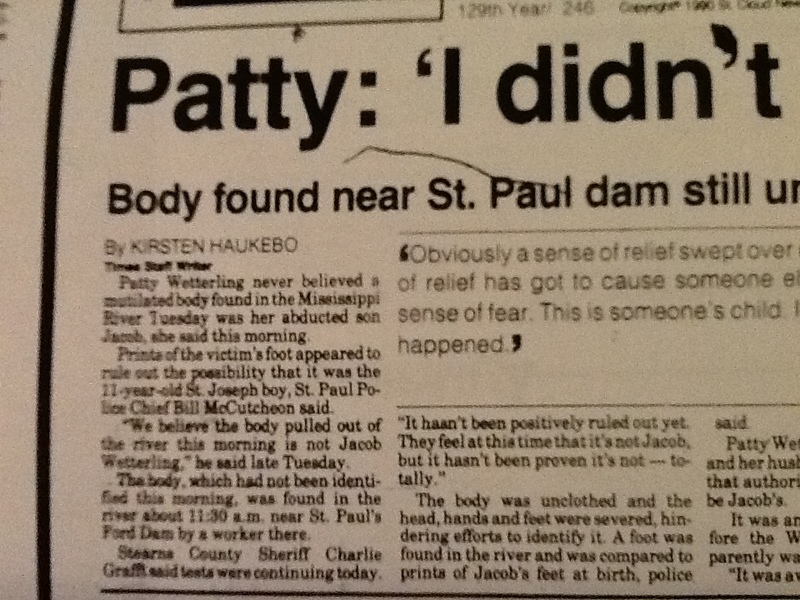 The fact that the covered-up confession included Jacob being cut up and thrown into a river creates very serious questions about the identity of the body found floating near the Ford dam in the Mississippi River on February 13, 1990. In what would be considered utterly bizarre by any professional standards, St. Paul Police Chief Bill McCutcheon stated in 1990, the day the body was found in the river, that they did not believe it was Jacob based upon a toe print comparison (of some kind). “Prints from the boy’s foot ruled out the notion that the body was that of 11-year-old Jacob Wetter-ling. Jacob was abducted by a masked gunman in October near his home in St. Joseph in central Minnesota,” the AP reported. “The body was that of a white male between ages 9 and 13,” said Byron Gigler, FBI spokesman. The boy was between 4 feet 8 inches and 5 feet tall, he said. Jacob is 5 feet tall,” reported the news at the time. Law enforcement stopped treating the case as a homicide after embalming fluid was reportedly found in the body. Police Chief Bill McCutcheon said Wednesday the mutilation apparently was part of a “religious group, a fanatical group,” and he called the idea of such a ritual “sick,” the AP reported. Minnesota law enforcement maintained jurisdiction on the Wetterling case. However, it would appear the body being disposed of in the Mississippi would have made the kidnapping a federal case. 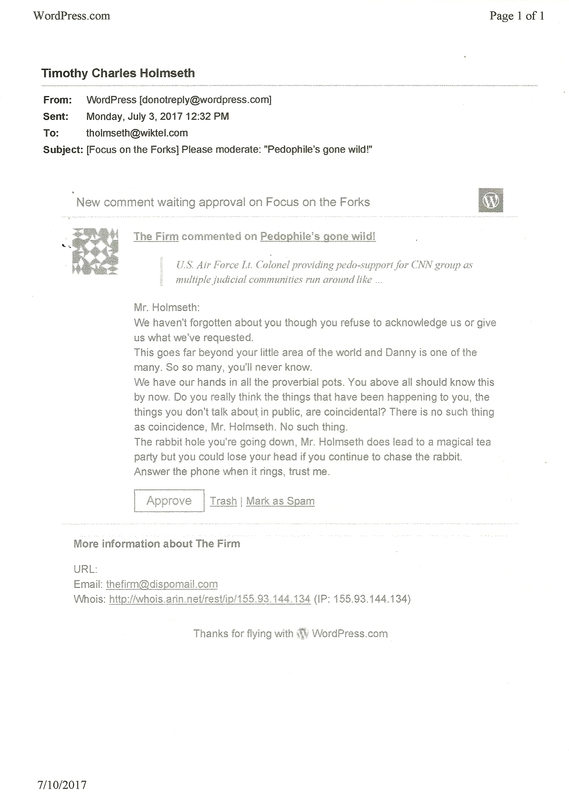 The American public needs to focus squarely upon Jerry and Patty Wetterling and their connection to the Bahner brothers. Write Into Action has more information pertaining to the Wetterlings that will be forthcoming.